Firstly, I love the name. Scandal just sounds exciting, thrilling, dangerous and tempting – all the things I need more of in my life!! 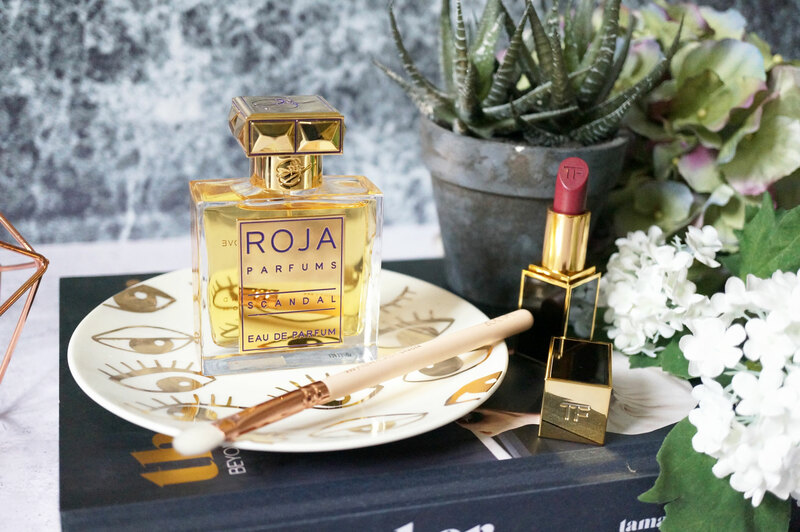 Seriously though, this fragrance sounds like just my kind of scent, it’s described as sweet, warm and very sensual, and it includes two of my favourite fragrance notes: tuberose and jasmine. “I remember when I first encountered Tuberose, I was shocked that a flower could be so sensual; as you inhale its perfume it becomes almost narcotic. I love how it transports you to the sun, removing you from the grey skies of England. 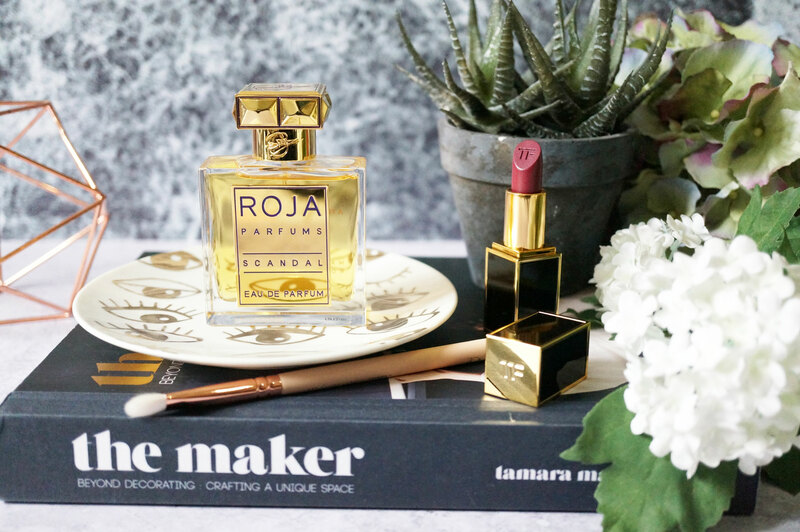 I blended it with other white blossoms, creating an effect that is at once floral, sunny, and deeply sensual.” – ROJA DOVE. The main attraction here is of course, tuberose. Scandal is an intense, luxurious and seductive fragrance. It’s a chic, ultra feminine woman turning heads, dripping in couture, classic yet striking. 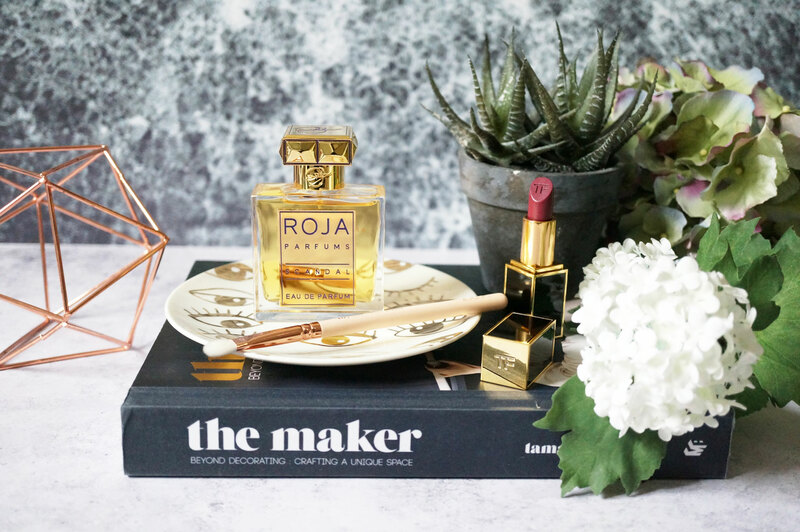 This fragrance is both elegant and refined, and it really does smell expensive. There’s no doubt this is an evening fragrance – Scandal Pour Femme is fresh and warm, yet incredibly sensual. The scent opens with fresh Bergamot, leading directly to a wonderful bouquet of white flowers – Jasmine, Rose, Gardenia, Lily of the Valley, Orange Blossom, and Freesia intertwine at the heart. The base of Sandalwood, Musk, and Orris Root blends perfectly with floral notes of Tuberose and Lavender, for a beautifully creamy and warming dry down. Heart Notes: Lily of the Valley, Freesia, Rose de Mai, Gardenia, Orange Blossom, Jasmin de Grasse and Tuberose. Base Notes: Sandalwood, Orris Root and Musk. 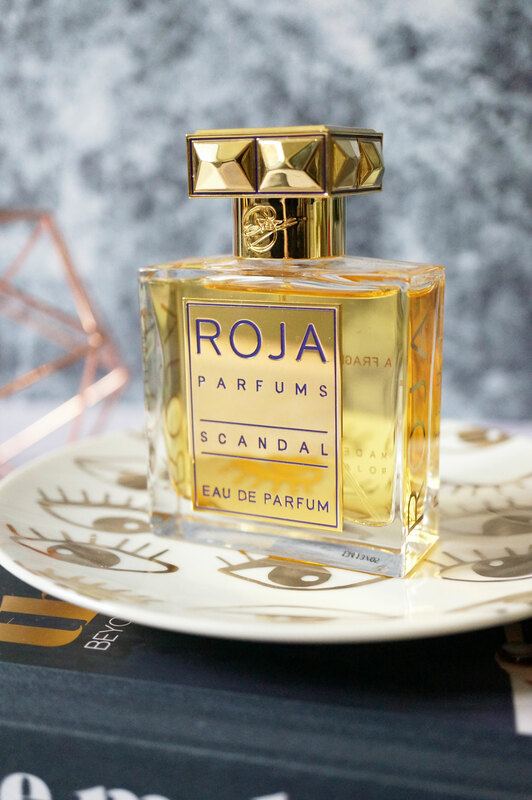 Roja Parfums Scandal EDP is available now at Roja Parfums. Amazing Shay & Blue QVC TSV Upcoming Collection!